Today I thought I’d do something fun and totally free! Don’t you just love free stuff? I know I do. If I can bootstrap my biz then I will for sure! I only pay for certain things for my biz that I know will grow my biz for sure. Before I get into the post, I want to let you know that I have some other posts about freebies! Who’s ready to get their learning on? As a new blogger, learning is the foundation to having a successful blog, right? But, it’s totally OK to start a blog and know nothing about your niche. I know! That sounds scary but that’s exactly what I did when I started my freelance writing blog. I blogged as I was learning. And I know every one of us is trying to find ways to earn more money as a mom blogger! 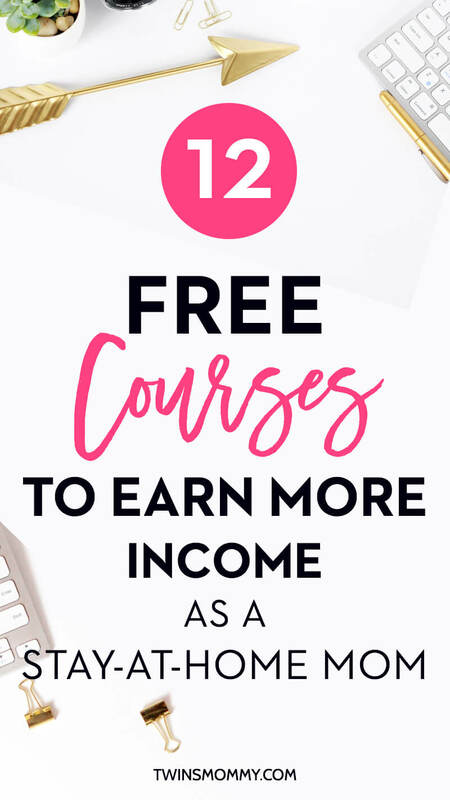 So, I’ve rounded up some awesome free courses to help you earn some income. Yay! Lovin’ freebies. These courses offer services as well as ways to make money on social media and on your blog. This is my free blogging course for brand new bloggers. In this 6-day email course, I share with you how to start a successful blog. I also give you 93+ freebies too including a video tutorial! Micala has a great free course for moms that want to start a freelance business at home. Learn the five essentials to get started today! 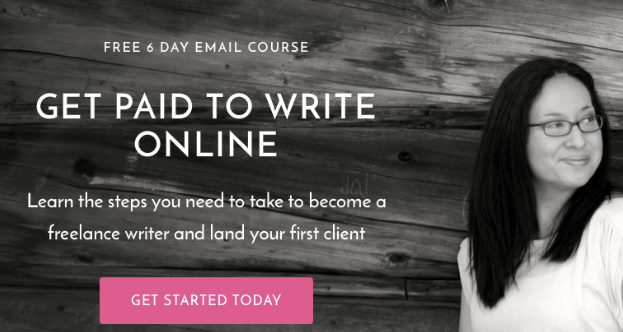 If you don’t already know I have a free course to help you get paid as a new freelance writer! As a mom to twins, freelance writing fit it perfectly in my schedule. This affiliate marketing FREE course will help you get started on learning about affiliate marketing. 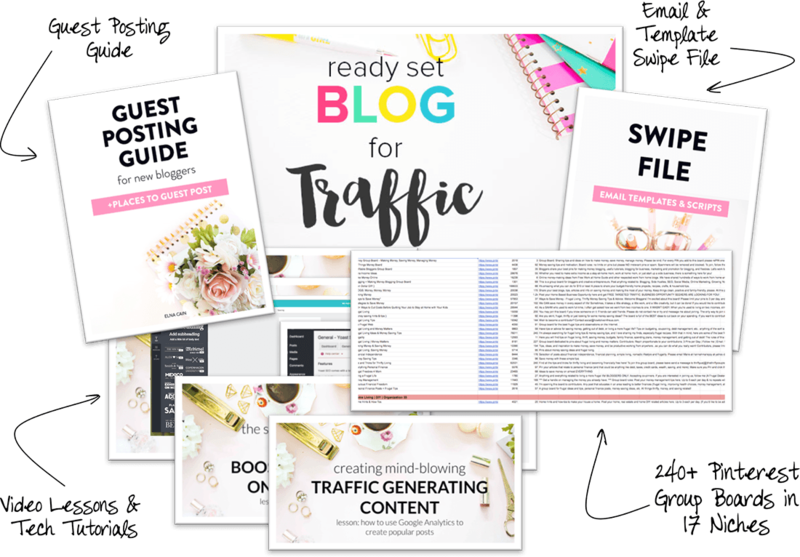 Summer Tannhauser of Lady Boss League has a wealth of information to help you grow your blog’s income. 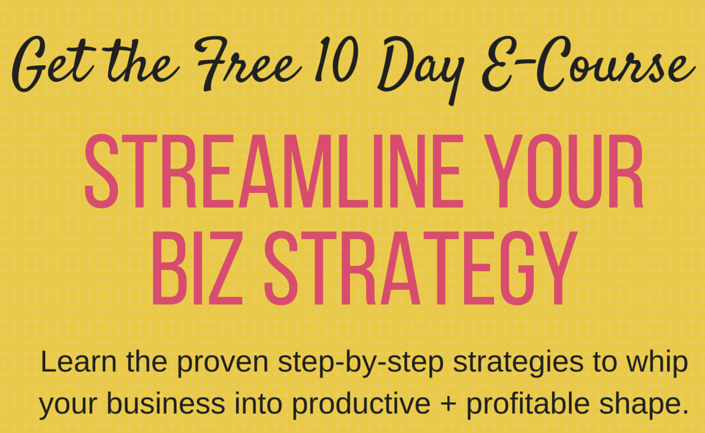 If your business is struggling then take this free 10-day email course. Her course dives into helping you get your businesses working smooth by setting boundaries, delegating, conquering your email and more. I’m sure many of you are longing to stay home with your little ones. Working from home is the best solution and while you can make money with your blog, there are other ways like offering a service. Here’s a course to teach you to be a general transcriptionist. Even if you have no clue what it is, this course will tell you that and more. The Facebook Advertising System is a free video course offered by Leadpages. This will help you grow your email list as well as attract more leads for your business by using Facebook Ads. Not only will you get 11 videos, but also 11 MP3 audios, 24 PDFs and the Leadpages Facebook Profit Tracking Dashboard to create your goals. 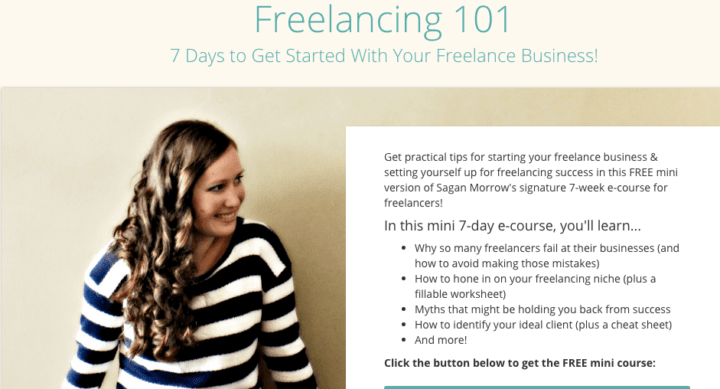 If you’re not even sure you want to offer a service, why not take the Freelancing 101 course offered by Sagan Morrow? Sagan is a freelance coach and blogger and she helps you start your work-at-home business on the right foot! Elise of House of Brazen has an awesome course called Blog Your Way to Your Passive Income. We are all wanting to earn some passive income with our blog but it’s hella hard eh? Well, Elise breaks it down in her free course so that you do the right things to get some income from your blog. Caitlin Pyle of Proofread Anywhere shares her knowledge as a proofreader in her free Proofreading course. 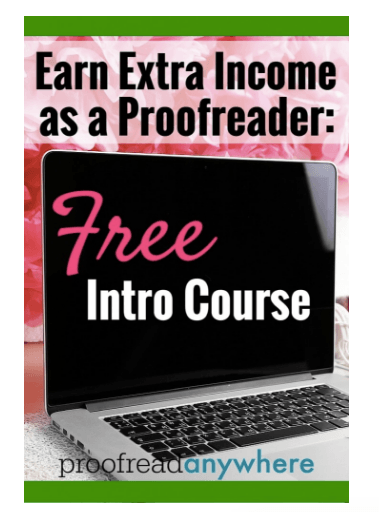 If you are interested in being a proofreader, make sure to check out her blog and courses! 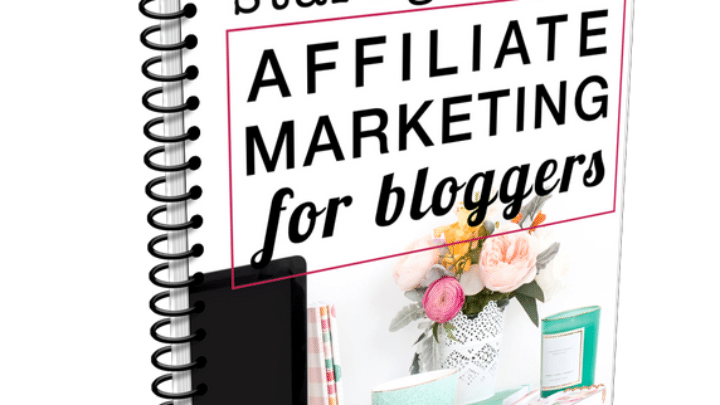 Allison Lindstrom has a great course for new bloggers. If you have a blog that’s doing nothing, her course, Start a Profitable Blog, can turn that around and help you make it profitable. Grayson Bell of iMark Interactive has a free course on learning your self-hosted WordPress site! 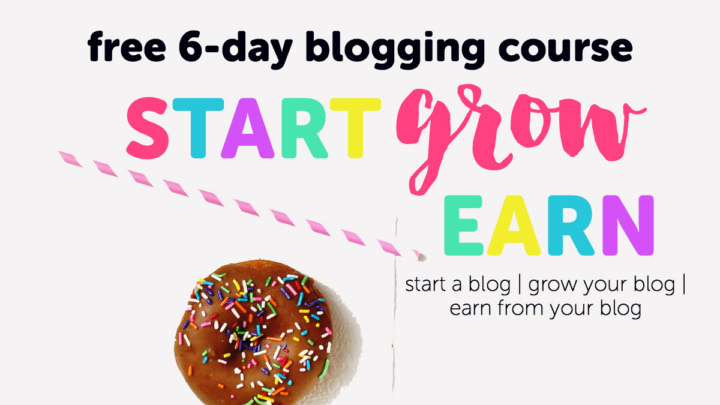 This is awesome for new bloggers so make sure to take this course! He even has a lesson on customizing your theme. Are you on Instagram like every day? Why not learn how to use that platform to make money? Alex Tooby has an awesome free course to help you understand Instagram marketing for your blog and business. If VA or proofreading or writing isn’t really your thing, you can become a bookkeeper online! This course is for anyone interested or not even sure about what bookkeeping means. If you noticed a lot of these courses offer a service for your blog. This is because I believe the fastest way to make money is to offer a service. 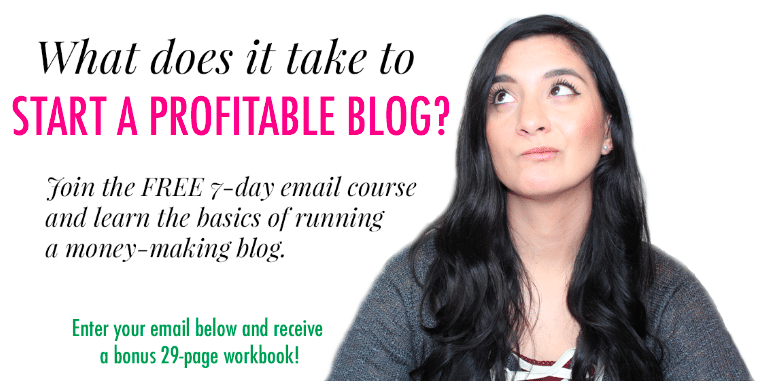 Check out these courses to help you get your blog and biz up and running! Wonderful freebies! I’m grinning like a little child with her hand full of candy. I’m definitely checking out the free affiliate marketing course. Thanks, Elna. You’re my blogging superhero! That’s great! I’m so glad you found this helpful! Enjoy the free courses! Thank you so much for this post. I am currently checking out a few and will give some feedback in time. Great and have fun looking at these free courses! I got interested in hiring a VA recently. I subscribed to Vidya’s course to know a little bit more what can be asked, and how it works in general. That’s great! Vidya’s blog is awesome and she seems like a great VA!